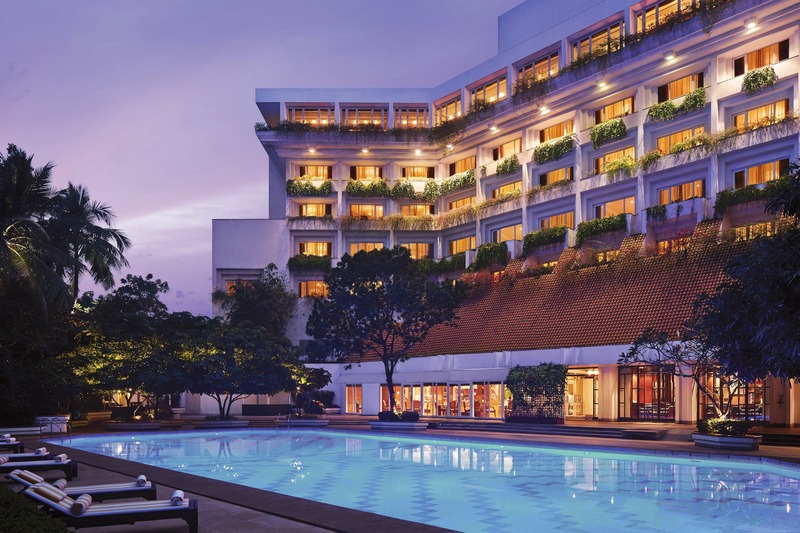 Book your stay at the iconic Taj Bengal, that has hosted the likes of Amitabh Bachchan, The Dalai Lama, Aamir Khan, Sachin Tendulkar, Shahrukh Khan and Hillary Clinton. Soak in its architecture and unmatched hospitality, inspired by the city’s famed art, culture and heritage. If there is one thing that is truly irresistible about the Taj, it is its interiors designed by the legendary architect Bob Fox. You will be awed by the lavish five-storeyed stone and marble atrium bathed in natural light all day, while at night around 800 star lights are switched on to emulate the night sky. If you are a museum fan, well you have an entire hotel here filled with genuine antiques, priceless art, terracotta statues, traditional puppets and artefacts to explore. The Promenade Lounge houses a collection of over 400 masterpieces by Bengal artists including Paritosh Sen, Sakti Burman and Asit Haldar. The Taj has luxurious rooms and suites, each with a unique view of the city of joy. Each room comes with a four-fixture bathroom packed with luxurious bath amenities (we love that the bath & body products are from Forrest Essentials!). The Wi-Fi is on the house and there is 24 hours in-room dining service if you are too relaxed (or too lazy) to step out of your room. Also, the vertical garden concept outside each room window and inside the lobby on each floor, as a tribute to horticulture specialist Rama Rao, is truly stupendous. #FunFact: The flower decoration in front of the elevator changes every week, which then becomes the theme colour of the hotel for the week. Nestled in the green precinct of Alipore, with all prominent landmarks of the city within walking distance, lush flora teeming with birdlife around, and clear views of the Alipore Zoological Gardens, Taj Bengal has a locational advantage like no other hotel. Get a room on the top floor and you can enjoy great views of the Howrah Bridge, Vidyasagar Setu, Royal Calcutta Race Course, Eden Gardens and of course, Victoria Memorial. Interestingly, the hotel was kept at five floors so that the path of migratory birds flying in every winter for shelter to the Alipore zoo was not restricted. The Taj offers a wide array of fine-dining restaurants, some of the very best in Kolkata. Savour the flavours of India with robust North-West Indian, Punjabi and Bengali cuisines at the ambient Sonargaon. If authentic Chinese is your all-time favourite cuisine then the Chinoiserie will not disappoint. You must try the delicious Lebanese and Mediterranean spread at the Souk, which is the first eastern Mediterranean restaurant in Calcutta. Their award-winning 24-hour coffee shop, The Hub serves an assortment of world cuisines with Italian being top-notch. And for an on-the-go craving, there is La Patisserie and Deli. The Junction Bar and Promenade Lounge are perennial favourites. During winters, the Grill by the Pool offers a mesmeric setting for a fine-dining experience. The little guests accompanying you will also be floored by Taj’s hospitality. Watch your kids squeal in delight as they receive Taj’s trademark activity kit and passport on arrival. They even offer nutritious and exciting menus for young visitors. What’s more? If your kids want to try their hand at baking delicacies then the chefs at Taj will be more than happy to help them cook up a storm in the master kitchen. If you are new parents and are craving for some time off, you can even avail of their professional baby-sitting services. At about INR 11,000 a night, get pampered in style, soak in the city’s artistic sensibilities, indulge your palate, mind, body and soul at the Taj Bengal.